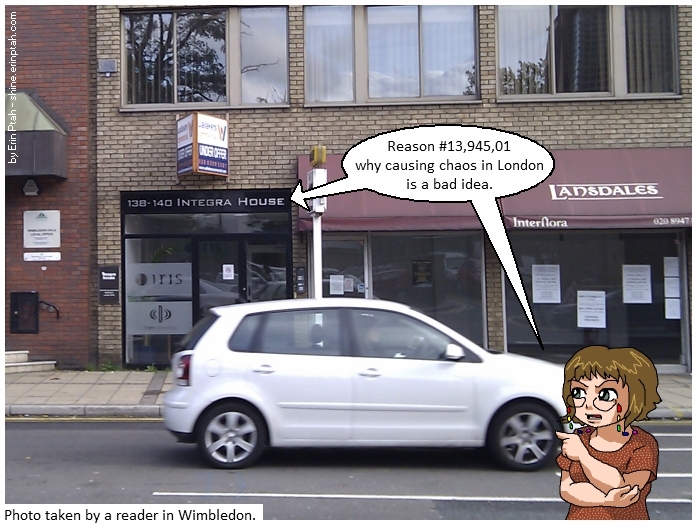 Collected strips from the mini-hiatus taken during the 2011 England riots. 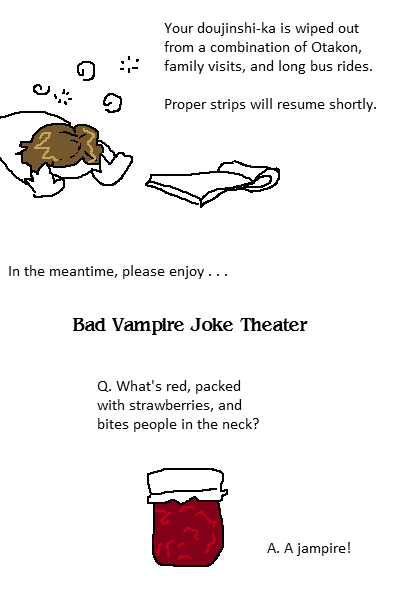 Q. What’s red, packed with strawberries, and bites people in the neck? Erin: Reason #13,945,011 why causing Chaos in London is a bad idea. 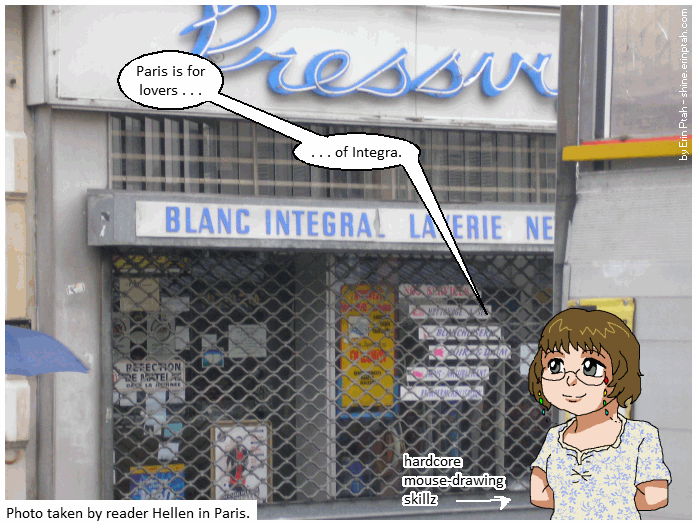 Erin: Paris is for lovers…of Integra. 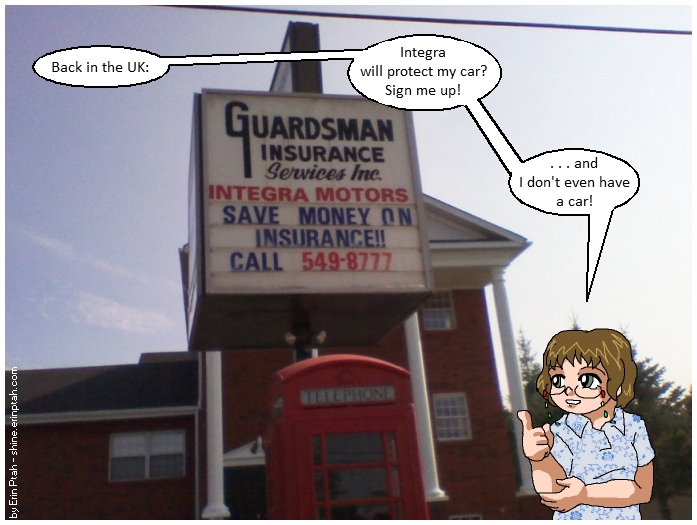 Erin: Back in the UK: Integra will protect my car? Sign me up! …and I don’t even have a car! Blarg, Londoner here, riots all over, cleanup happening, where’s that continuation z of Shine Heaven Now? !